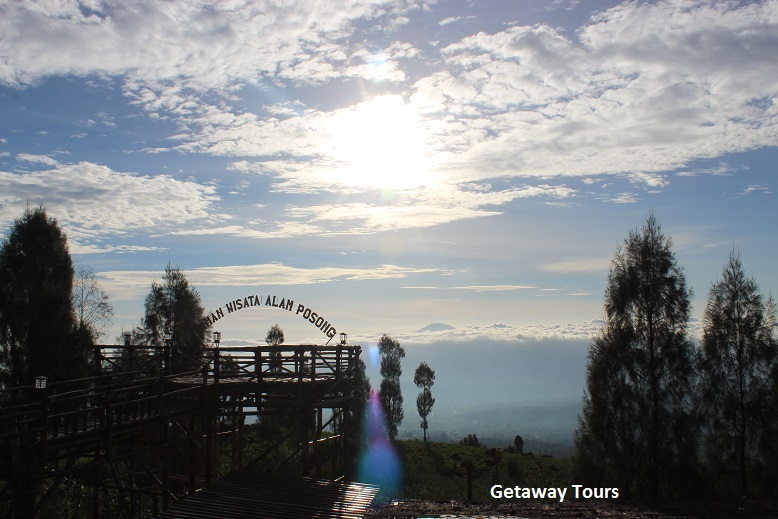 Posong is a view point located nearby the border of Wonosobo and Temanggung Regency. 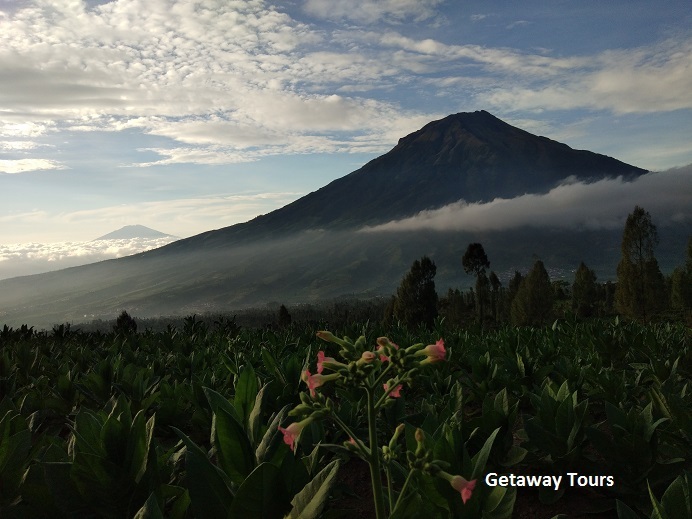 It is geographically located on the slope of Mount Sindoro, one of active volcanoes in Java. It is easily accessed from the main road and no trekking needed. 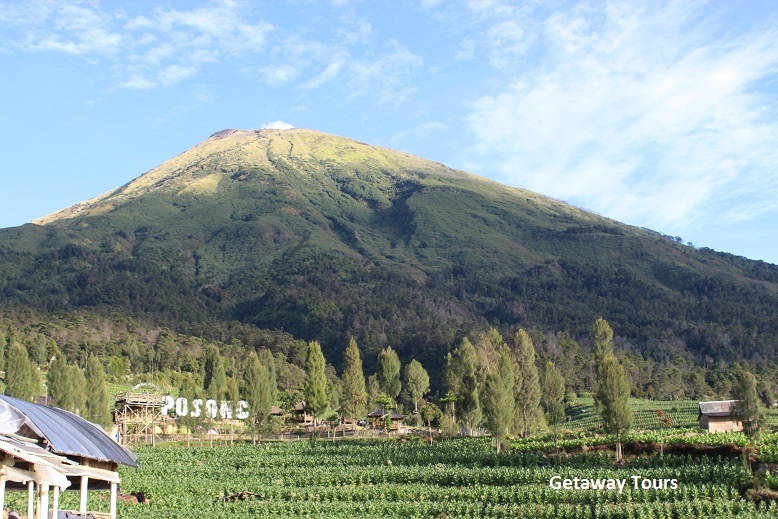 It is a good option to stop by if you are on the way from Yogyakarta to Dieng Plateau. From the view point you will see, tobacco farm which can be seen during May to August. 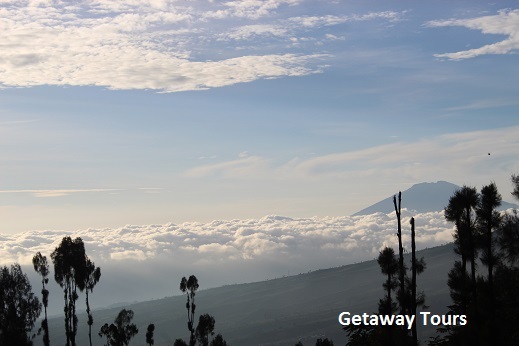 And you can also see other peaks nearby, such as Mount Sumbing, the neighbor of Mt Sindoro and also other far away peaks such as Mt Merbabu and Mount Merapi. 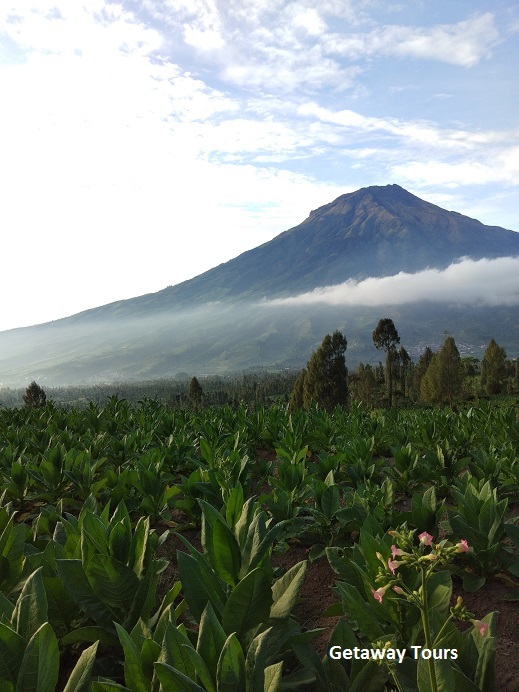 Mount Sumbing with tobacco farm.